The instant messaging company owned by Facebook has launched various features to keep a check on the spread of fake news on the platform. Recently, WhatsApp launched an 'Admins Only' feature which only allows admins to post in a group. WhatsApp is going through a critical phase in India due to the spread of fake news leading to mob lynching. The personal nature of the application, end to end encryption and lack of any supervision on content being shared have made it a breeding ground for the spread of fake news and messages. The instant messaging company owned by Facebook has launched various features to keep a check on the spread of fake news on the platform. Recently, WhatsApp launched an 'Admins Only' feature which only allows admins to post in a group. Secondly, forwarded messages will be demarcated clearly in order to help users understand where the message is coming from. Yesterday, the company launched another feature for beta users which will highlight suspicious links shared on the platform in red. The use of this feature is still being tested and may make it to the stable build soon. 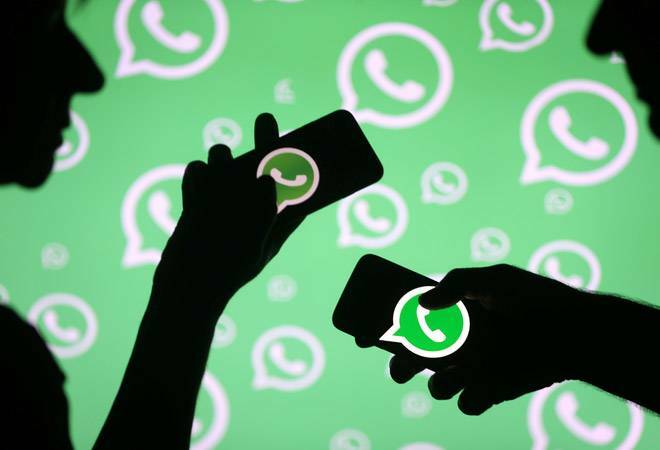 Apart from these in-platform changes, WhatsApp has released a 10-point circular on major newspapers circulated across the country. The full page notice from the app is titled, "Together We Can Fight False Information". However, WhatsApp has not provided a similar notification within the application. The notice takes cognisance of various loopholes that are exploited by fake news generators. It suggests ways to distinguish forwarded messages from original ones and then "question the information that upsets you". Another way to spot an unreliable source is to look for spelling mistakes in the message. According to WhatsApp, "many messages containing hoaxes or fake news have spelling mistakes." Subscribers are also warned to check photos and videos as well. Sometimes images and videos are shared in a wrong context. To fix this, the subscribers have been asked to confirm the source of the media online. 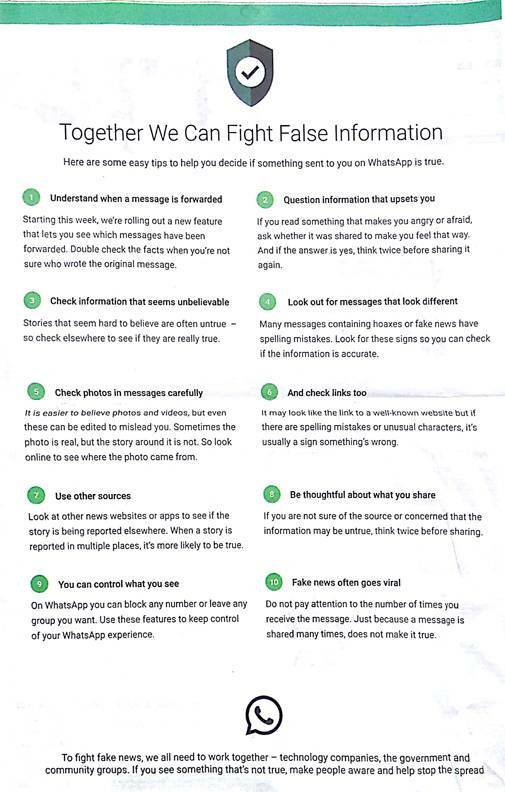 Another tip provided by WhatsApp is the use of other authentic sources of news to verify if the story is real or fake. The instant messaging application also allows users to block any number of people from sharing or texting. Even if a message has been received by various known contacts, it should not be taken at face value.